Santos is a listener, a thinker, a heart speaker, husband of 20+ years a Navy Veteran, father to a small tribe and most recently a proud US Marine dad. I enjoy life everyday and I remind myself constantly of how brief life REALLY is. My mission is to empower, inspire, motivate and help you reach your highest potential! with preparation for the years ahead. Friday/Sunday night. 4-5pm PST- I will do my best to answer all your Questions. Thank You very much! Friday Night Alive Power hour with Soldier of Self Mastery Episode #20 Please -Donate, Share this video, comment and give me a thumbs up. Thank you! Join the movement! Live w/ Soldier Of Self Mastery interactive. Obviously we should think about what we’ve done, and forgiveness of self is key, KEY. You don’t want to beat yourself up, so don’t let your mind do it either. Turn to your tools and figure out what would be the best one to use for that moment to get you to go forward. Your host: Santos Rolon Jr. a.k.a. 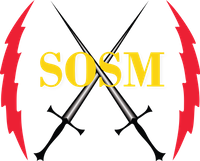 Soldier of Self Mastery Our Special Guest: Kelly Gaines Walker of Spanish Fork Utah. Website: www.Iloveawesome.com Youtube channel: kelly and the Bronwen Tv. Author: Checked Out To Changing Lives Kelly is a Speaker, Life Coach and a Woman who truly enjoys sharing and building others up. There might be some non scripting going on Today! we hope to share hope, inspiration, insight and motivation that will help you think on to a higher level of daily living. Kelly comes from an addicted to pain killers depressed past into a energetic smiling Next level thinking mindset. Let us listen to her wisdom today and who knows, this May be your day to finally get the breakthrough needed to motivate you to that higher level lifestyle you seek. Another wonderful interview, challenged to grow to transform lives all over the globe! Evan once again sharing his wisdom, his philosophy and inspiration for growth for building and the starting point. I believe this interview has the capacity to really really transform the way you think, simplicity, genius, and reminding ourselves that we are not failures because we are continually failing Forward! You can do whatever you want in life as long as it’s legitimate and righteous. As we talk about writing books, journaling inviting others to partake of these programs division of believe nation 1 billion people. We are going to continue to plant seeds, Spread this vision of transformation and inspiration, motivation? We all really know what we need to do we just need to do it #JDI!